Today was a really Super Sunday! You know what I mean, every now and then you have a really good day, and today I had a really good day! My group of girl friends were on the town celebrating. 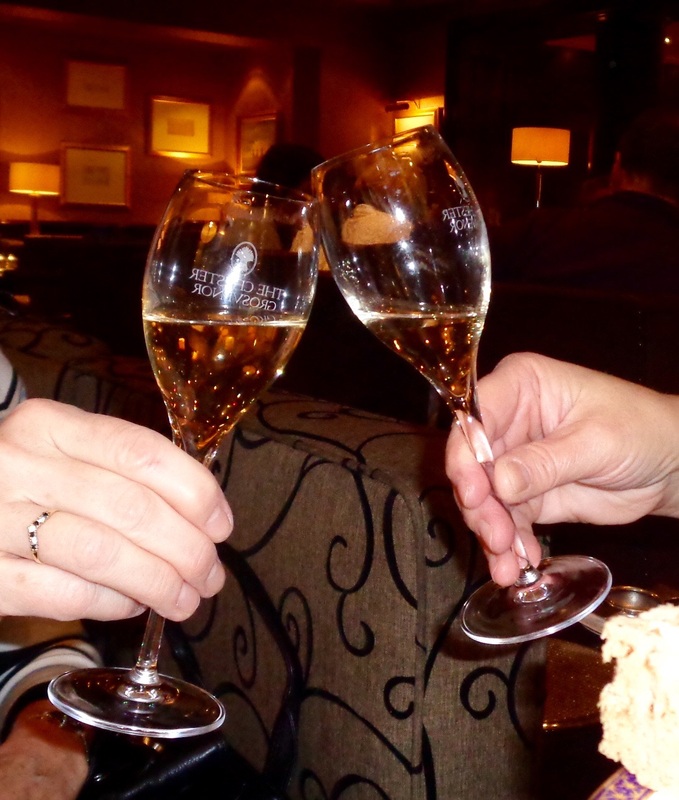 Our “on the town” consisted of a trip to Chester and the Grosvenor Hotel (poshest in town!) 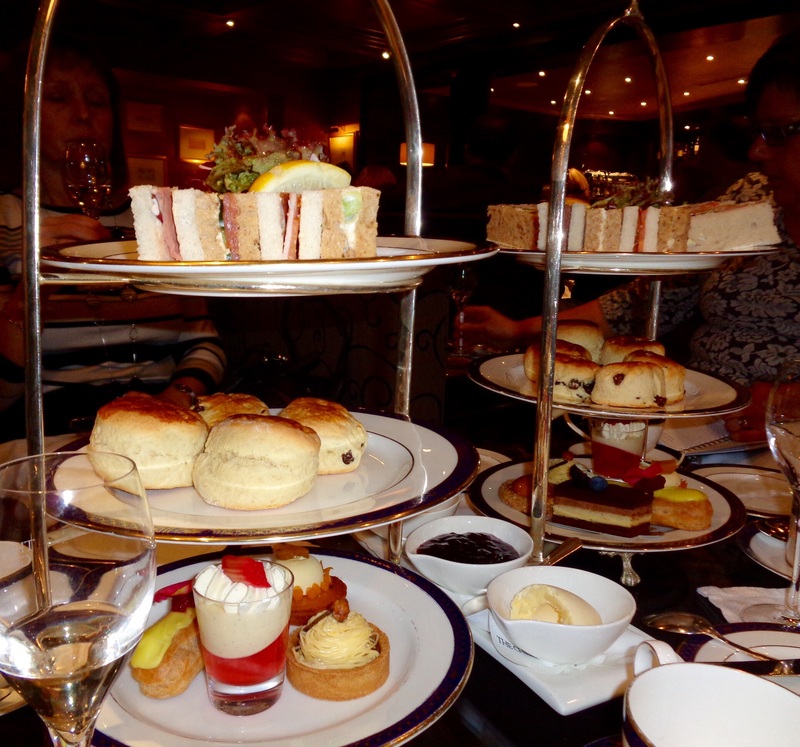 here we indulged in a special afternoon tea complete with Champagne.Mmmmmmm. We had a three course delight consisting of super strawberries and clotted cream, suptious sandwiches, cream scones wIth strawberry jam and perfect pastries. Diet? What diet? We washed the feast down with the Champagne and finished off with tea and coffee of our choice. The whole meal was served with impeccable silver service. Oh! and a smile! The reason for our treat was the special birthday of one of the girls. This was doubled by her surprise Christmas engagement which made the event a double celebration. Must say that I’m looking forward to the wedding later in the year.